It's said confidence can't be taught. As a parent that's frustrating because we want our children to be confident and we want a proven methodology for imparting that confidence. So, you can imagine my surprise when I found confidence I didn't know I had. For me getting out from behind the camera--and in front of it-- resulted in new found confidence. 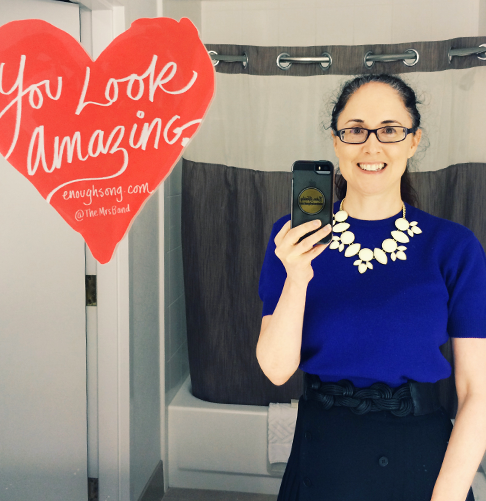 What's your secret to building your confidence? Since before Gates was born, I began reading child development books. I wanted to know the secret sauce for raising an empowered, confident person. Experts Can't Agree on What Works for Building Confidence! "[I]t [is] a good idea for a chess player to be a bit pessimistic about the outcome of any particular move. But when it comes to a person's chess ability as a whole, it was better to be optimistic. 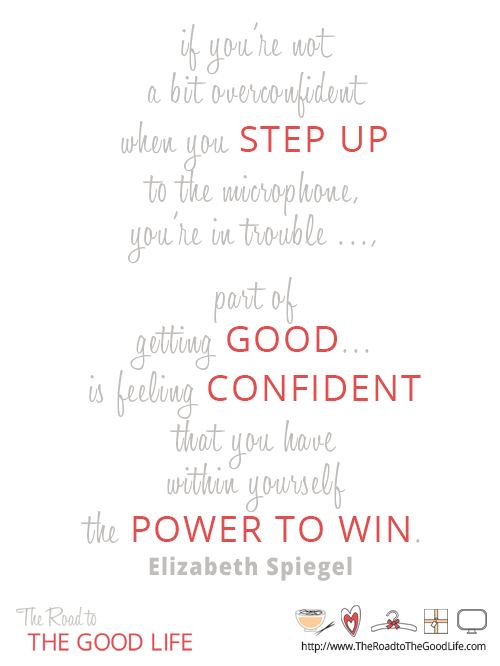 It's like public speaking: if you're not a bit overconfident when you step up to the microphone, you're in trouble. Chess is inherently painful. 'No matter how good you get [at chess], you never stop making stupid, stupid mistakes that you want to kill yourself for.' And so part of getting good at chess is feeling confident that you have within yourself the power to win." My Journey Started by Appearing (and then Becoming) Confident. Until last Fall, getting dressed each day was inherently painful (probably why the quote about chess struck a nerve). I spent hours thinking about what my clothes were saying about me and fretting whether I'd be taken seriously at work. That changed when I took Style and Styleability; Hilary Rushford transformed my relationship with my clothes from armor to a signature worthy of remark. But clothing alone, while instrumental, isn't how I gained confidence. So how did I gain confidence? By stepping in front of a camera. First, in the supportive community of women who were taking Style and Styleability with me, and then by being bolder, participating in a week long self-portrait (selfie) project. 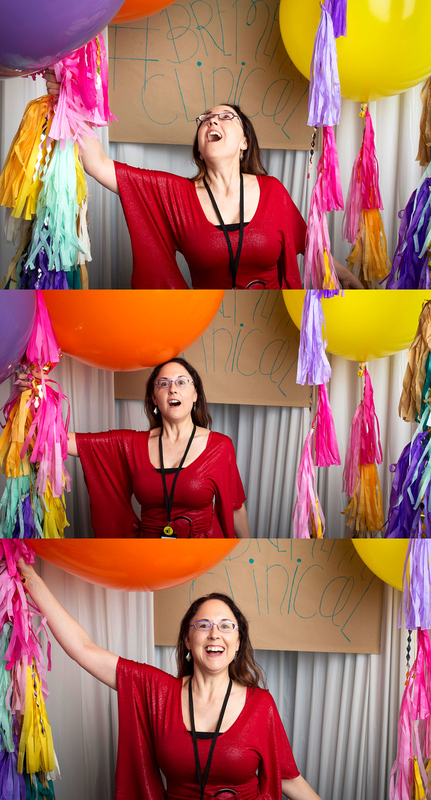 Which I followed up with a bunch of solo appearances in a few photo booths at Alt Summit. And, now video taping myself for the improvements I'm planning for version 2.0 of the Introduction to Thai Flavors eCourse I teach. With the completion of each project, I discovered confidence I didn't know I had. And with that new found confidence, optimism. Each milestone prompted me to be a little bolder next time. I believe confidence comes through repetition, practice, and belonging to a supportive community. From trying something, seeing if it worked, realizing you didn't die, adjusting, and trying again. Practice when no one's around. Who knows, you may get an awesome shot you can use as your avatar. I didn't, but at least I no longer have that deer-in-the-headlights look. Also, if no one's around, the operator is probably pretty bored and can give you tips. Just because no one is taking their picture doesn't mean you can't. If you've got bad timing and there's never anyone around (because you got there early), you'll end up with no photos. Really go for it. With animation or video, exaggerate your gestures. You want to really commit. I've found that people get behind people who are trying something. And the best part? It's the perfect icebreaker if you're having trouble making small talk. For self-portraits, reverse the camera so that you can see what you're doing. Tilt your chin slightly out and down. Turn one shoulder in slightly. Take a burst of photos to reduce the likelihood of a blurry photo. Laugh at yourself. If it was easy, super models wouldn't get paid so much. But heck, you now know to try something different next time. Remember that most people are just as nervous as you are. And you're only imagining that everyone is looking at you. Trust me, I've had multiple encounters with a spilled drink over my head or down the front of my dress and thought everyone had seen. Nope. And people didn't even give me a second glance when I was wearing jeans and a sweater while everyone else was in cocktail attire. For introverts, exuding confidence in a public setting can be hard, especially if you've got a camera with you. Cameras can be both an opportunity to connect and an opportunity to observe quietly from the sidelines. Like our smartphones, there are times when we need to put them down and step out. It's scary, but depending on what your dreams are, it's going to take a really long time to achieve them if you don't take a chance. Credits: All layouts designed by Eden Hensley Silverstein for The Road to the Good Life. 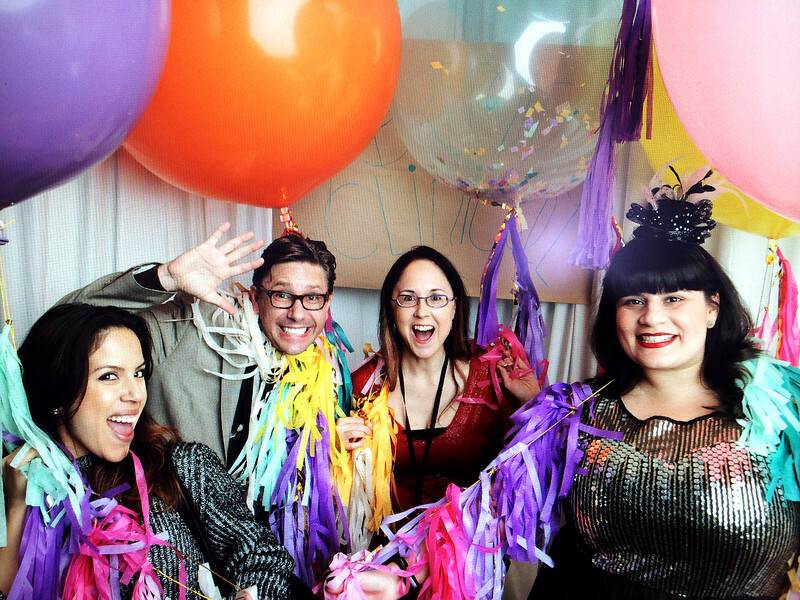 All photobooth images are from Alt Summit SLC 2014 taken by Bremmen Clinical, an event sponsor. DISCLOSURE: This post contains an affiliate link, followed by (*affiliate link). I feature products that I own or that I am considering purchasing. All opinions presented are my own.